The Tulalip Tribes Lushootseed language department has released a Lushootseed dxʷləšucid language App for Android. 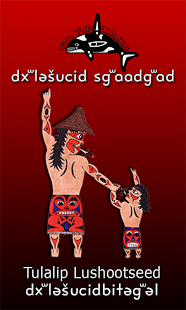 This App gives the user several Lushootseed – dxʷləšucid words and phrases. Lushootseed is the native language of the Puget Sound region of North America, it is also known as Puget Salish. A user can hear the phrases by pressing the speaker icon or picture of the item. The phrases are divided into categories where the phrase might be used. The phrases are general in nature to help a person learn how to assemble sentences on their own, by substituting new words. 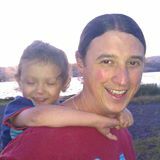 This entry was posted in Language Preservation, Lushootseed language, News and tagged App, Lushootseed language by lrinspire. Bookmark the permalink.